How can 0-180 kph be 13.7s, but 1/4 mile is 12.5s at 112 mph (also 180 kph)? 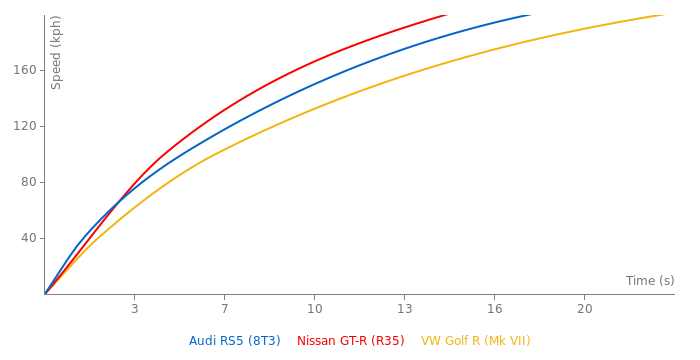 I think the 180 kph at 1/4 mile is rather for 2012 RS5 than 2010 RS5. Its still one of the best Audis ever. There is new 2015 model, but it isnt faster or anything much better. Its seems like some kind of european "muscle car" made by OOOO. AWD isnt so much understeer oriented, its very neutral. The main problem - its heavy. RS5 vs M3 e92 - Who is the best? why did you sell it after such short period of time? More stuff for the Audi RS5. @E - that's exactly what I am saying. Buy used / don't buy NEW from AUDI. It was not 3 weeks but 14 months. I bought the RS5 new because it was a new model and I did not want to wait for 12 months or so to get a second hand one (bit childish I know). I've done the same with other cars before and first year depreciation has always been between 22-25% - not 30%. It shows the RS5 is vastly overpriced and Audi are not prepared to support the price of their premium range products in the secondary market. On top of that, their strategy is to come up with upgraded versions of those cars every 12 months so you are guaranteed to lose even more value on your car - I don't know about BMW / Merc, but it seems to me that this is a specific problem with Audi. Who buys a car to sell it? I think better advice is, buy used if you're going to keep a car for three weeks. Buy an M3 or C63 and the same thing would have happened. I thing isn't underpowered but too heavy. 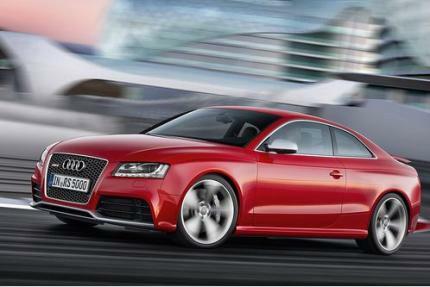 I hope Audi in next gen RS5 lower weight. This car is great, its imo the best RS in Audi history, great sound, great looks, engine is behind front wheels, gearbox is good. Its just underpowered, beceause its not so much light. Takes too much writing. Saying Audi 5 series is fine. So let writes RS4, RS5 and RS6 because 4,5.6 series is unambiguous BMW. @Piorun you are dump because 4 series, 5 series and 6 seriesn ins't Audi but BMW! Pojeb jesteú, albo jesteú debilnym 10 latkiem albo niepeùnosprawny umysùowo. You have a point, but really Audi is just doing what BMW does. Look at BMW's most powerful cars, they are the big cars that get the huge engines like the 7 series and X6. Mercedes puts more power into their smalls cars like the C-class but their cars can't handle and all weigh 2 tons so it doesn't really matter. This car is ready for more power, but Audi strategy is just little dumb. For them "smaler" car must to have smaller engine. So 4 series must have smaller engine than 5, and 5 smaller than 6 and so on. They just dont want to make their own cars compete with themselfs. 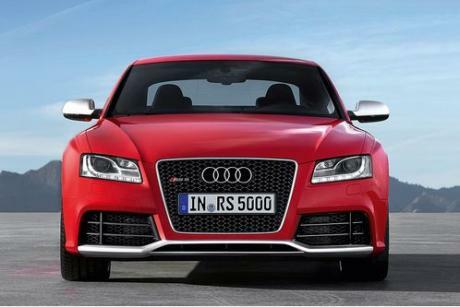 So even they cloud make 555 hp RS5, they will not do that, beceause thats reserved for RS6. So litteraly: S4 have 333, RS5 444, and S8 520. But Audi, i want small car with enough power. Who want to race with S8? 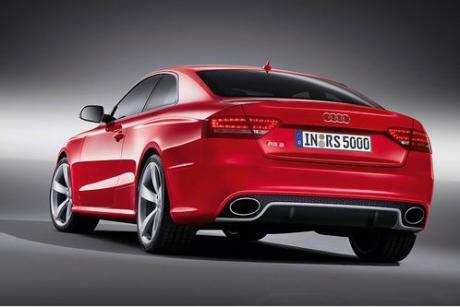 RS5 is my dream car. Please dont try to explain to me as my brain does not register it,so i carry on in my own way hopeing nobody pulls me up on it. Still,i can always take my frustation out in the 12c!! Nothing negative intended. I was kidding too. But yes, this sentence would be considered grammatically correct: We don't really accept independent times like what you provided anymore. And it's not acceptable just in America, but in the UK, NZ, Canada, etc. as well. I'm unclear as to why that looks unacceptable to you. Could it be that you are talking about the second sentence? Apathy,thanks for putting me right,but isnt that the point? I freely admit i am hopeless at english,but you it seems are also not perfect.He who casts the first stone!Have a laugh about it,i have had to spend a lifetime doing so. PS,it was not the coma. where i come from,like what you provided,is not correct english.But i could be wrong as it could be American? Yours should read: Now please, the queens English. That stood out like a sore thumb, even to me! I also have a sense of humor, you know! @Apathy,now please the queens english,even that stood out like a sore thumb to me,i also have a sense of humour you know!! We don't really accept independent times, like what you provided, anymore. 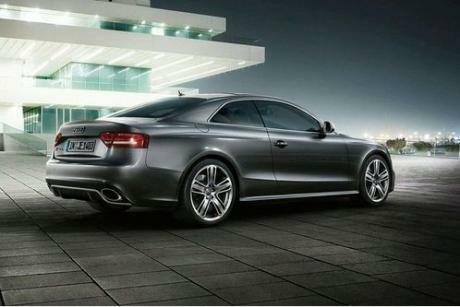 See what new S5 3.0TFSI can do.